Our hearing centre in Burton is one of our three Dove Hearing Centres based in Staffordshire which specialise in hearing problems. As a family run business with over 35 years experience we offer friendly, confidential advice and welcome anyone to come in for a chat. We have top class facilities and friendly, experienced, approachable staff who will be more than happy to help. If your problem has occurred recently or over a longer period then don’t wait any longer! Our standard of care is second to none and we will never trivialise your issue, no matter how big or small. We also stock an unrivalled range of hearing aids with over eight brands available so you can find the perfect hearing aid. And, if you are not satisfied with your product we offer a 30 day money back guarentee on all purchases. At the Burton hearing centre you will are able to get free independent hearing advice from one of our experts as well as a free hearing test with the latest equipment. We also offer free ongoing aftercare as well as a full programme of regular check ups to help you with the adjustment period and any issues you may be experiencing. In addition, for existing users, we have a repair service as well offering battery replacement. Our Burton Hearing Centre also offers a range of noise reduction products including custom made swim plugs and ear plugs. 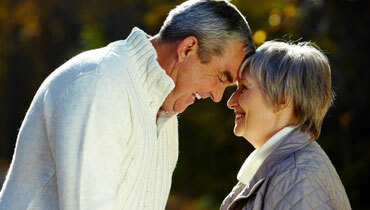 We have the latest digital hearing aids starting at just £599. All hearing aids come with a full manufacturers warranty and come with a 30 day money back guarantee on all hearing aids. We are often upto 50% less than the national hearing aid providers. We have served many satisfied customers throughout Staffordshire in the past and we are sure you’ll be happy with us. Feel free to get in touch or call into our Burton Hearing Centre any time or call us on 01283 511820.